If you asked me a few years ago what my morning skincare routine was I would have told you quite simply that I didn't even have one and I was lucky if I used a Nivea cream all day never mind waking up with a routine. 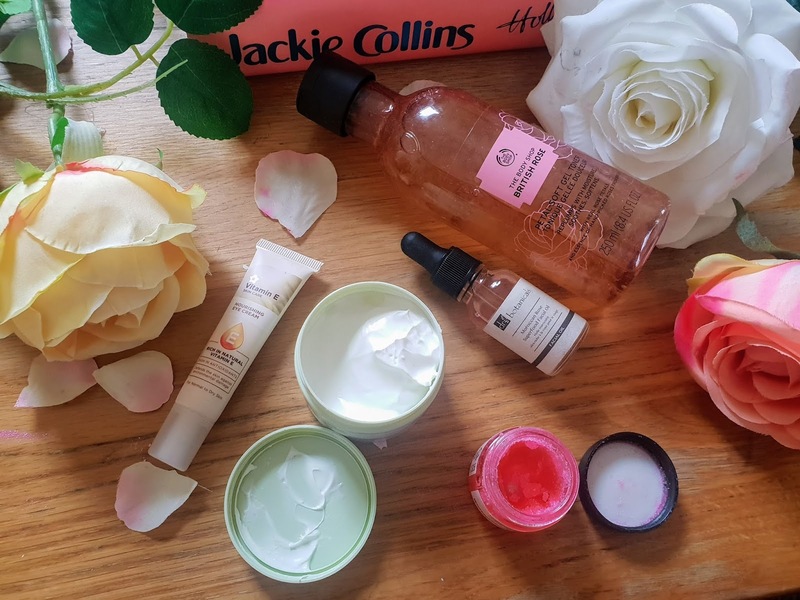 Now I have a simple routine every morning and I just love it as it keeps my skin feeling soft and hydrated and it also sets me up for the day as I feel fresh. 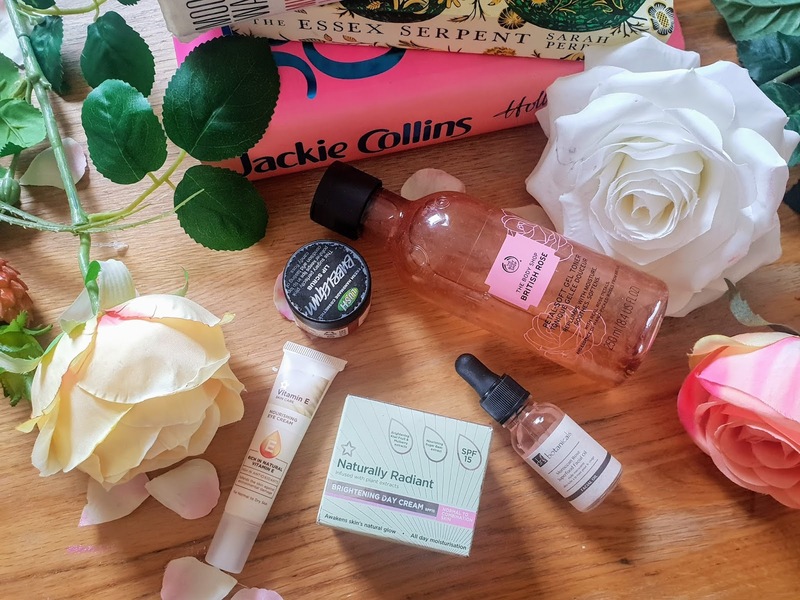 I have tried a few brands over the years and obviously as new products come out and also you discover more brands they could also feature in my routine but at the moment these following products are must-have products for my morning skincare regime. Superdrug skincare products are definitely underestimated but to me, they are absolutely amazing. This eye cream is perfect for the delicate skin on the eye area and the formula is cooling and no greasy. This eye cream contains glycerin that helps nourish the eyes. I love this as it works well on my under eyes and its cooling; a perfect wakeup call. 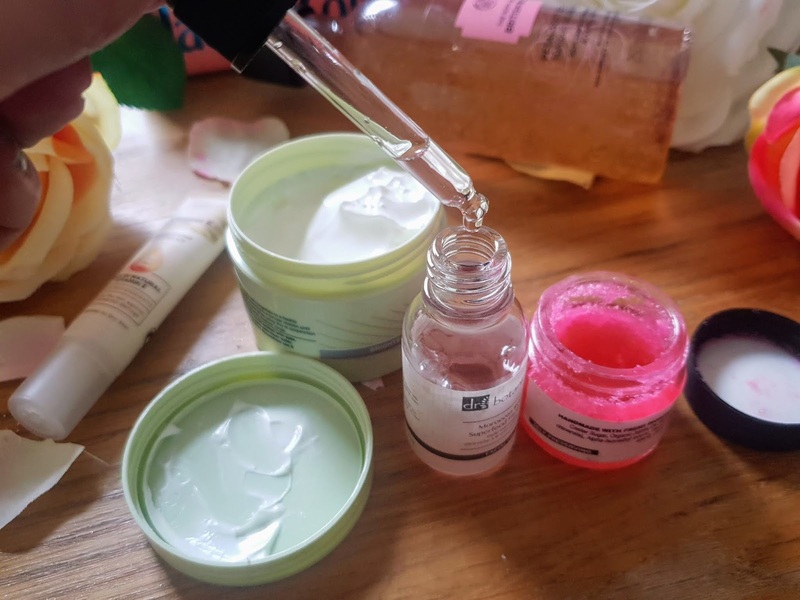 I am sure a few of you will be wondering why on earth are they a lip scrub on a morning skincare regime? Well for me personally it is a must as it preps and polishes lips ready for makeup application. Even on days, I don't wear makeup this is a must as it helps keep my lips feeling soft and avoids them from getting dry and cracked. This cream is formulated with 15 SPF and is formulated with energising complex infused with kiwi fruit and mulberry extract which helps revive skin radiance and even skin tone. I love how light this feels on the skin and how soft it leaves my skin with its lots of ingredients that feed the skin. This cream is a bargain price and works wonders on the skin, I would recommend Superdrug skincare to anyone. I don't use this every day but I do use this when my skin needs a little more TLC. This facial oil is full of minerals and vitamins that work together to rejuvenate, renew and protect the skin. The active ingredients in this oil are; Vitamin C which stimulates collagen production. Vitamin A which is a powerful antioxidant which aims to rejuvenate skin, even skin tone and signs of ageing. It also has almond oil which nourishes the skin to brighten the skin. I just love the fact that this toner is enriched with real rose petals and contains no alcohol. This leaves my skin feeling soft, soothed and replenished. I like to apply this just after I wash my face in the morning with a cotton wool pad in the morning. The smell of this is just lovely.